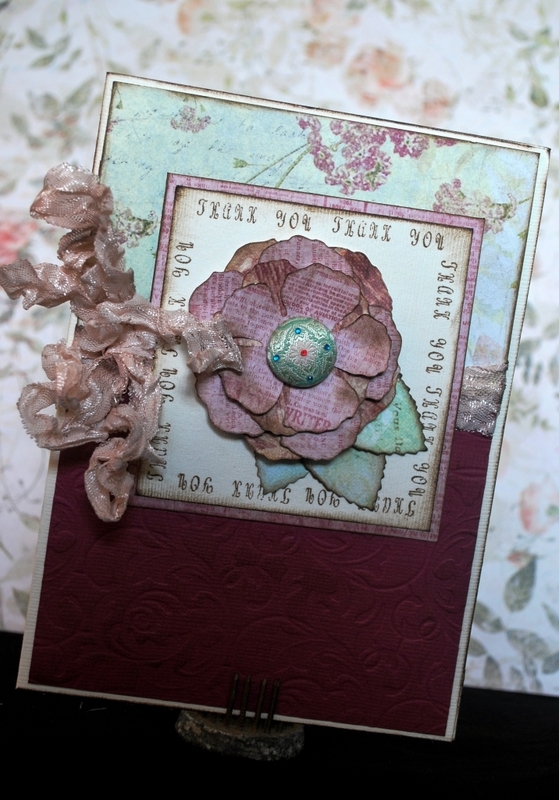 Here is a gorgeous vintage layout incorporating a few different spellbinder dies. I wanted to use just two colours to create a page, in this case black and cream, a very elegant mix. I have used old books to cut up with Rose Creations to make wonderful flowers and cut the cream . 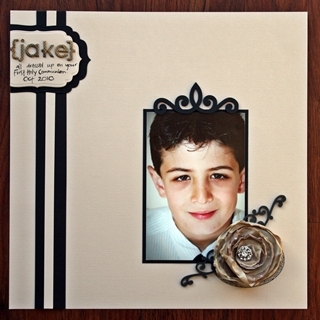 JB08790 Just a Note Borders & Centers 1 5/8"
Here is a card using Rose Creations as the featured element. 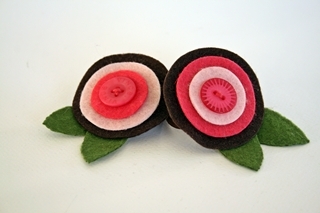 Here is the tutorial for making the embellishment from yesterday's layout. Taking the strip fold each scored line in a concertina like fashion holding tightly as you fold. 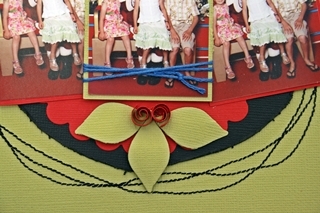 Add any embellishments as desired to hold the pin wheel together. Here is a layout by Sheree. Come back tomorrow for Tutorial Tuesday for step by step instructions for making the pleated embellishment. Here is another lovely project using the Spellbinder die Nested Hearts. 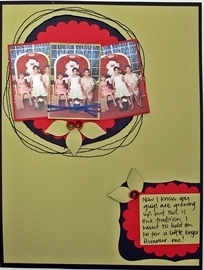 Here is a lovely layout using Spellbinders S4-296 Nested Hearts. Here is something a little different for you today, an A4 layout. Some time ago I purchased some rather expensive floral embellishments. I decided to try to recreate them using Bazzill and The Spellbinder Die Rose Creations. Here is the result. I was very pleased with the finished product. It's day one of our week long Christmas in July feature. Today we have some hanging ornaments made using the Spellbinders Die Nested Hearts. 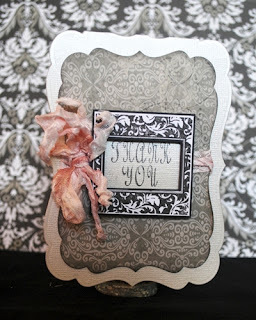 Well it's not Tutorial Tuesday, but we do have a mini tutorial for you today from Kirsty. 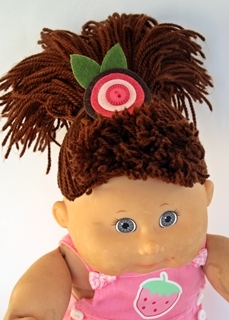 "I recently hosted a baby shower for my sister. I made this little guest book for each guest to write a message to her and her baby, and for my sister to keep as a special little memento of her baby shower. Knowing that the new baby will be a girl was extra fun, as I was able to indulge my love for all things pink!!!" 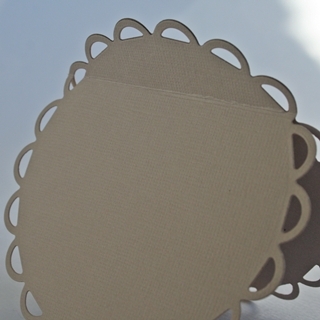 Cut your sheets of card stock into rectangles that will fit the size of your chosen die. I cut mine to suit the largest of the labels 17 die. Pre-cutting the Card made this job a little quicker and a little more economical paper-wise. I ensured that there was at least one page per guest with a few spare pages for mistakes or surprise guests! Run your pages through the amazing Grand Calibur machine with your chosen die. I found that I could cut through 2 or 3 pages in one go. Using a slightly sturdier card (I used some of the card that my last month's order came packed in!!) cut two cover pages. Paint and glitter the edges of your covers if desired. Allow to dry. Punch holes in each page. Use some jump rings to hold your album together, and decorate the front cover! Just a quick reminder that we will be celebrating Christmas in July here at DownUnder Direct Inspirations. The design team have been getting in the Christmas Spirit a little early this year, so from tomorrow we will have a week dedicated to Christmas projects. 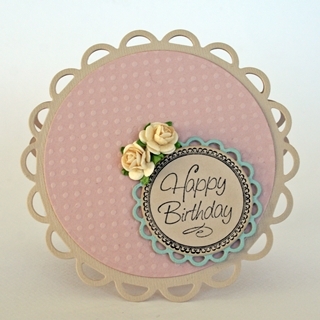 Here is a lovely idea to make a card using Spellbinders Die-Lacey Circles. The image below shows how the two pieces were attached and folded to make the card. Featuring a hand made Ranunculus. 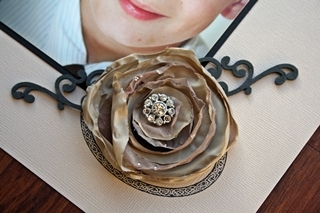 Use a mouse pad to shape the Rose Creations flowers and iridescent medium to give them a pearly sheen. Hello again and welcome to Tutorial Tuesday. Today we have a beautiful butterfly. 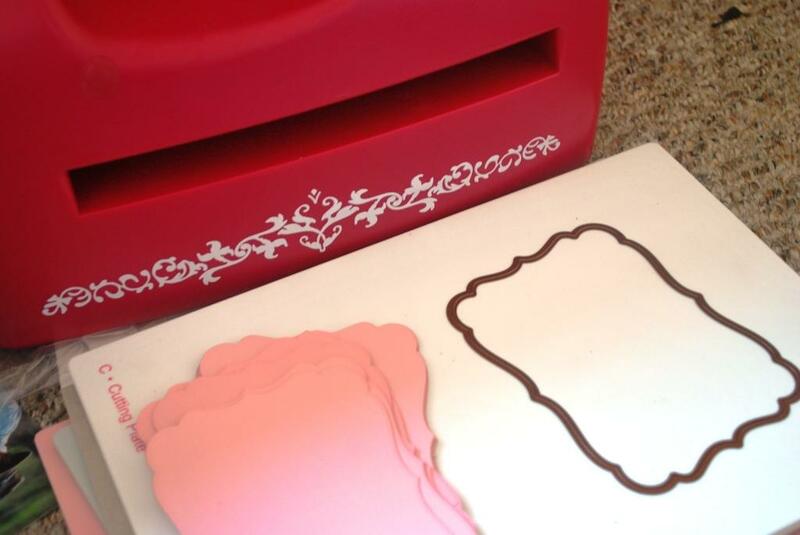 Cut out as many butterflies as you want to from the white cardstock with the Spellbinder die. Then on a mouse pad score the back of the butterfly with lines, much like the sections of a wing, keep to the same direction and curve of the wing for a better effect. Ink the middle of the butterfly with the colour you want, for example yellow. Then gently brush black ink on the edges, trying to keep to the edge only and don’t smudge it into the middle of the wings. Brush over iridescent medium with the tip of your finger, so as to lightly cover the ridges you made earlier with the stylus. Use your fine tip pen to colour in the body and eyes, you can also touch up the black ink and add some detail lines if you wish. I like to put a black spot on the bottom of each wing so I can add a rhinestone later over the top of it. Here is another lovely layout from Sheree. 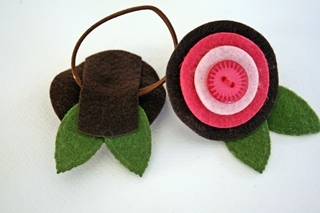 Here is an idea for making a hair decoration using Spellbinders and felt. 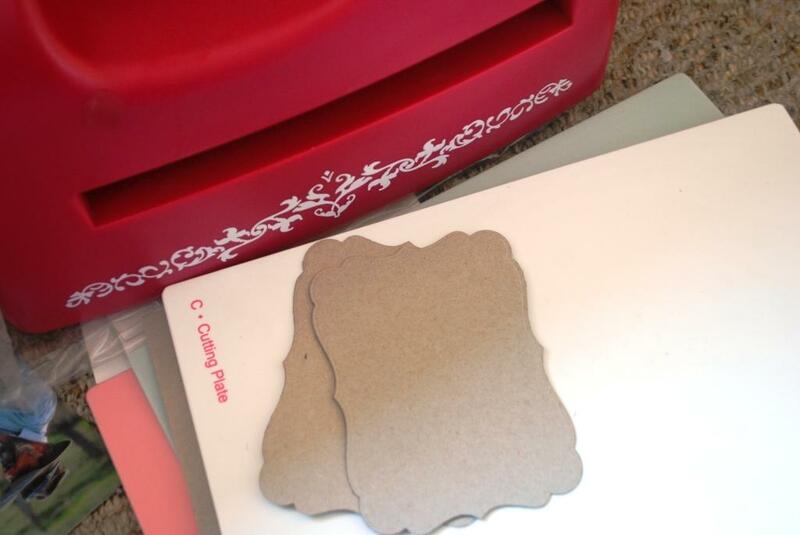 The felt cuts quite easily with the spellbinders. Here is another lovely project using the very versatile Pennants and Lacey Pennants dies. The rose on the front has been created using Rose Creations, and has been wet and scrunched, sprayed with adhesive and some glitter added. See previous tutorial for instructions. Here is a lovely layout from Teresa. 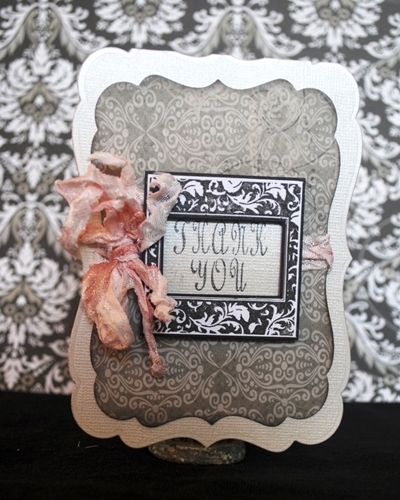 I love the use of the JustRite Stamp to frame the embellishment. Here is a lovely card created by Sheree. 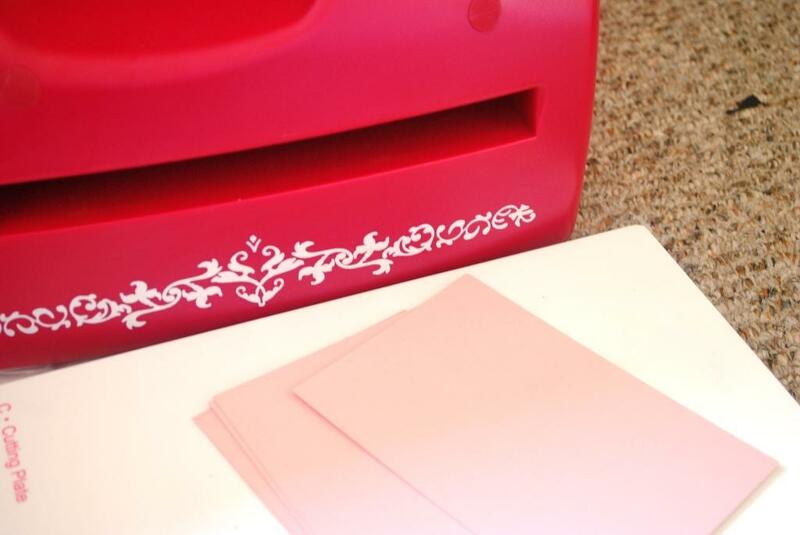 I love how she has used the Paisley Impressabilities as a stencil to make the background paper. Once again this shows how really versatile these Impressabilities can be. 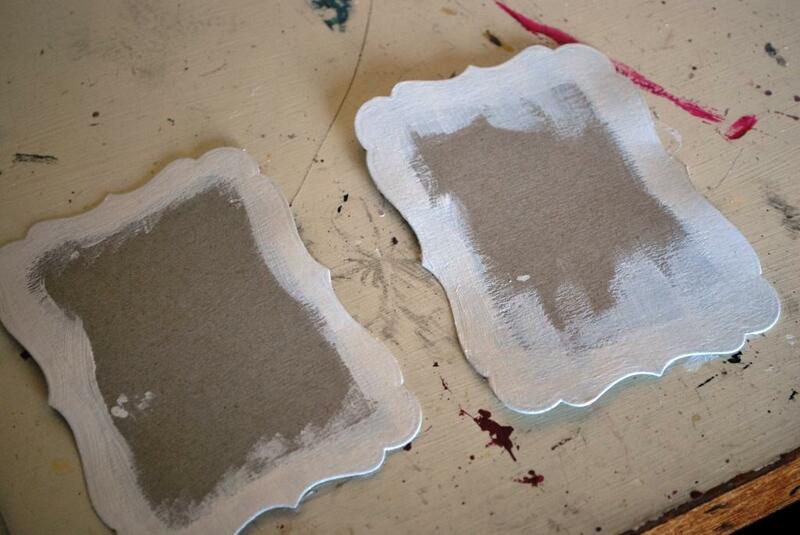 "Here I've spritzed bleach on the brown cardstock to give it texture. I've scrunched and used several colours of Glimmer Mist on the cream cardstock. Using Bazzill means you can really experiment with texture as I have done. I've used strips of Bazzill to make the fence and added Hessian and lots of fibres." Here is a card I made incorporating the flower technique from Tuesday's tutorial.